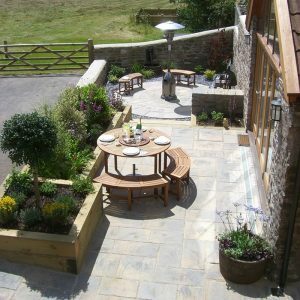 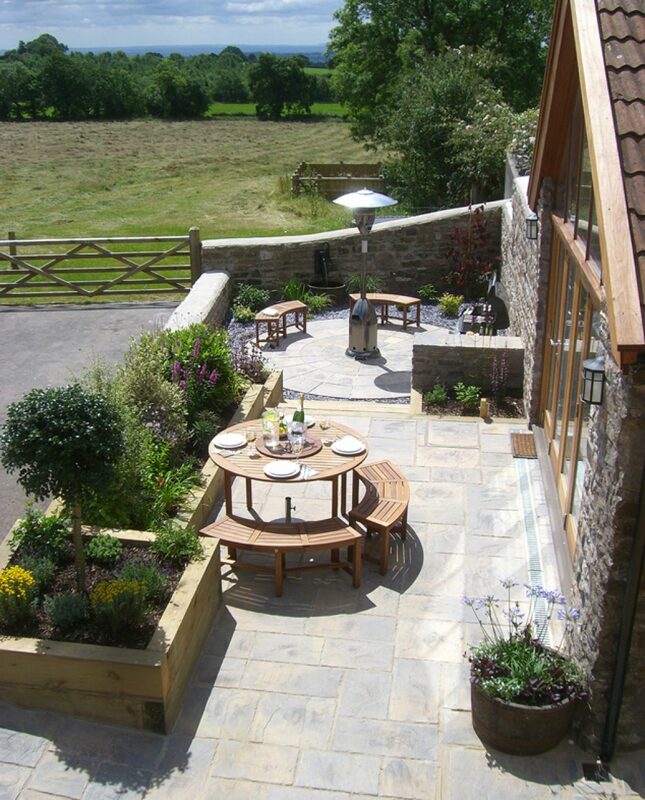 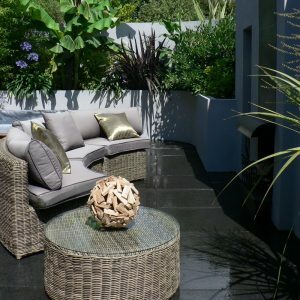 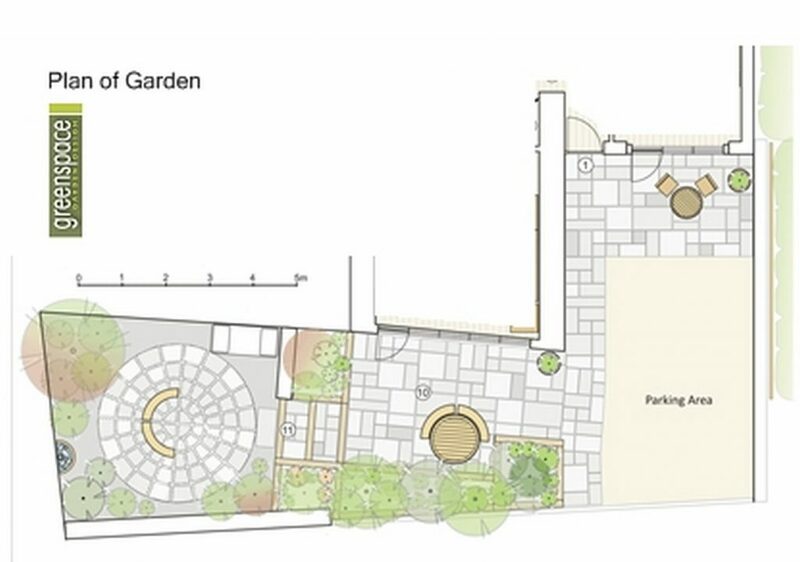 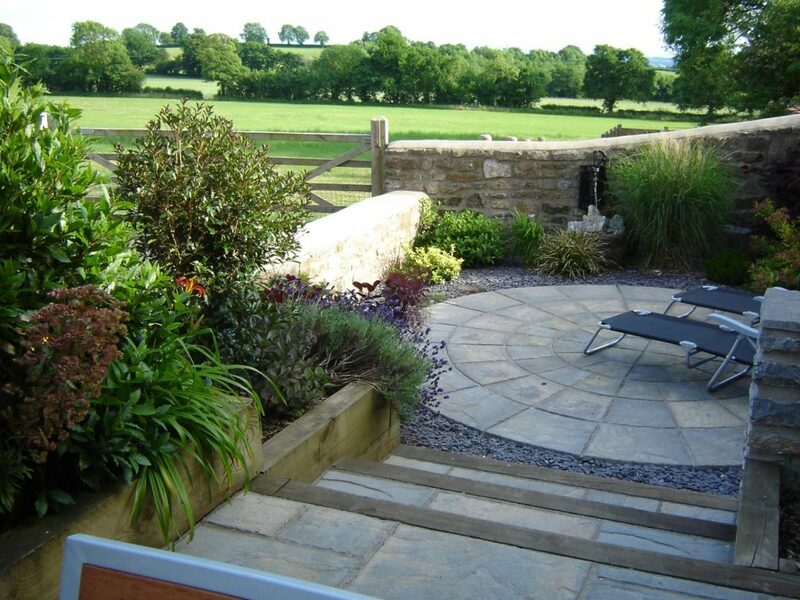 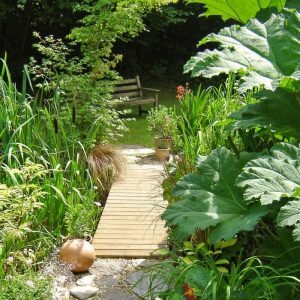 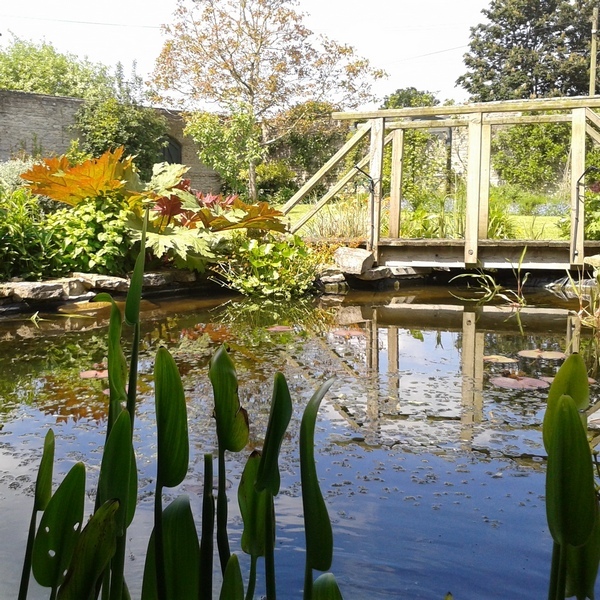 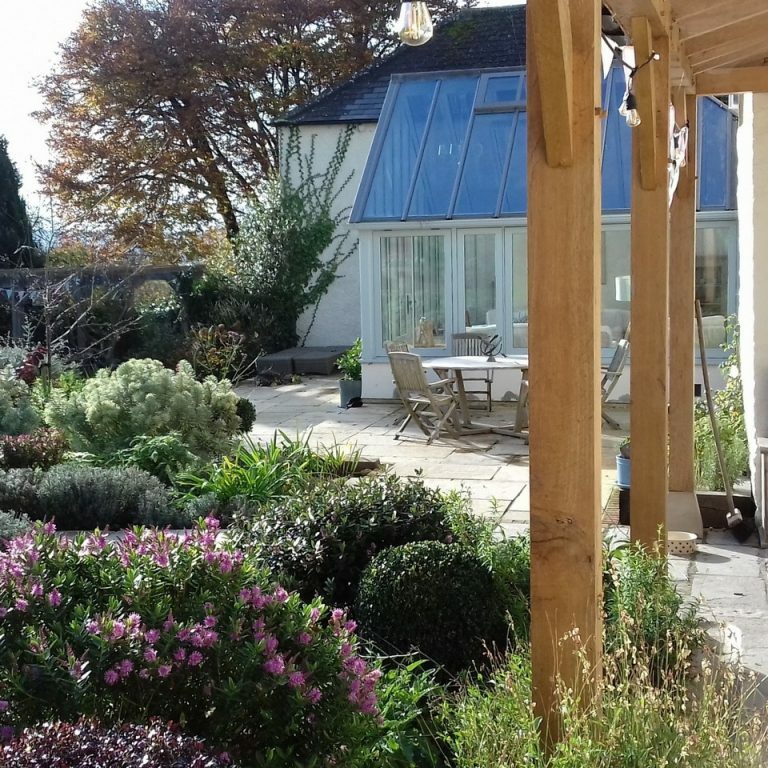 This barn was converted into a holiday let and then needed a low maintenance courtyard style garden for guests to enjoy the views and sunny aspect. 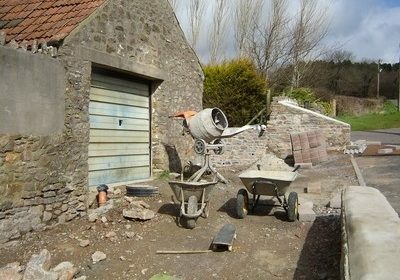 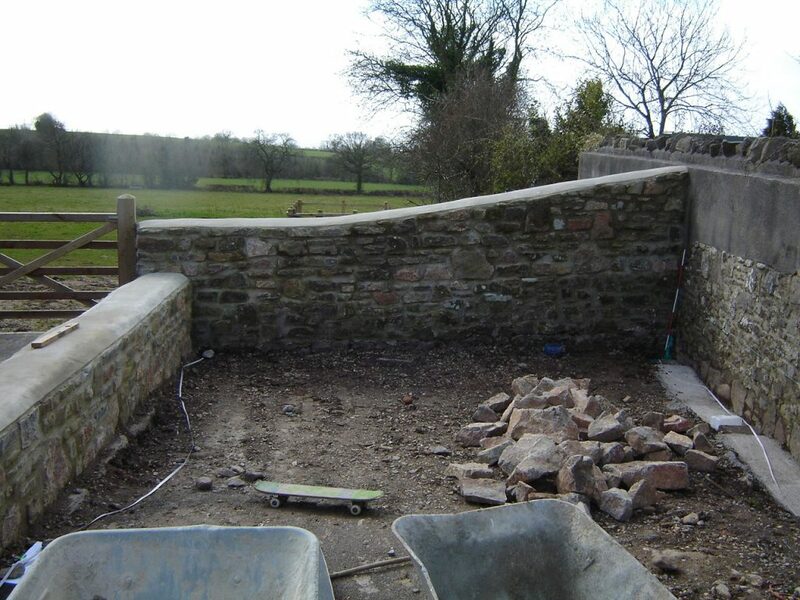 A block built wall was faced with local stone to look integral with the barn. 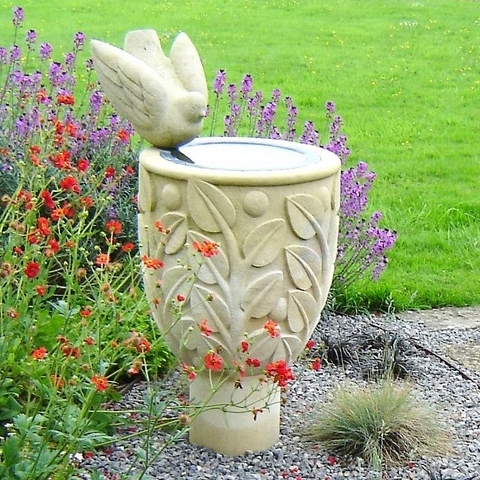 The wall design included a couple of small niches for lanterns or candles. 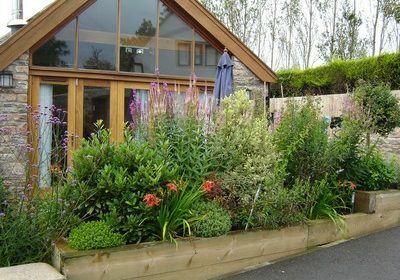 The space needed some privacy from the parking area belonging to the farmhouse and a long raised timber bed was included for this purpose with evergreen screening shrubs and perennial colour.